If you’re looking for a beach, family or sporting holiday with beautiful views and tonnes of amenities at your doorstep, then this holiday home might just be the one for you. This luxury accommodation lies in a gated community development adjoining Newquay Golf Club with stunning views from the patio overlooking Fistral Beach. After you’ve found your reserved parking space, you enter the apartment in the hallway and are greeted by a well-equipped kitchen that covers all your cooking needs. Perfect for letting your hair down, beach views can be indulged from the comfort of the four-seater sofa in the living room courtesy of the large patio doors. Situated just behind the sofa, a generous dining table provides a place for you and your loved ones to feast with a view. Spoilt for choice, this accommodation offers two tastefully decorated bedrooms, consisting of a master double with en-suite facilities and a twin room which is close to the modern family bathroom. Large patio doors fill the apartment with light and open on to a lovely private patio area where you can relax whilst you gaze out to sea. 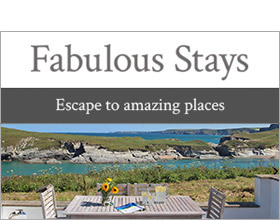 Whether you’re wanting to put your feet up or explore Newquay’s adventures, this delightful holiday home can be however you like. Conveniently located next to the golf course, this apartment is ideal for golfers whilst just beyond the green is the world-famous Fistral Beach, offering countless water sport activities, surfing being just one of them. Alternatively, chill out at one of the beach bars and watch the surfers take on the waves while you can enjoy a chilled drink and some lunch. When evening comes, take only a short walk into Newquay town centre where you can find a large choice of bistros, bars, restaurants and clubs so there’s something for everyone. A contemporary apartment in a stunning location in the ever-popular Newquay. All ground floor. Two bedrooms: 1 x double with en-suite shower, basin and WC, 1 x twin. Bathroom with bath, shower over, basin and WC. Kitchen. Sitting room with dining area.